These following points are intended to assist in understanding your obligations and rights as a vendor under the Vendor Agreement. These points do not replace the Vendor Agreement. Your rights and obligations are controlled and governed solely by the VA and you should review it. By submitting content to Jvisual, you agree to all the terms in the Vendor Agreement. 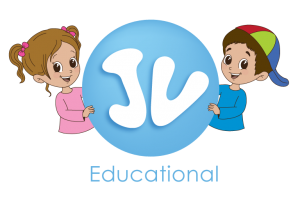 You are granting Jvisual the right to license to others and make use of your submitted content. You will always be the owner of your content. Some content you submit may require release forms, which you are responsible for providing to us. We have templates available here. Please make sure that the information you provide in your Jvisual account and information uploaded as part of your content, is true and complete. We may close your account if you are doing something wrong. If you wish, you can request that we close your account at any point in time, which we will do within a reasonable timeframe. You may not hold more than one Jvisual account, or share content with another Jvisual account, without explicit permission. If your content is removed from Jvisual, the existing licenses of previously downloaded content will remain in effect. Please note that your content may be marketed on social media platforms. We will not license your content in a way that is pornographic, defamatory, deceptive, or in a way that is considered libellous, obscene, or illegal. Please follow Jvisual’s Vendor Guidelines when submitting content to Jvisual. We will pay you a royalty for each download of content for which Jvisual receives payment. The current royalty rates can be found in the Royalty Schedule. Please do not use your account to download your own content, or to transfer content to customers. You may not use Jvisual’s logo in any form without permission. Please do not copy, embed or frame the Jvisual websites without permission. We respect your rights and may take legal action to protect your content. If you suspect potential misuse of your content, please contact us with the details before taking any action directly. You agree that you are legally able to enter into this agreement, and that none of the content you submit will violate any laws or infringe any third party’s rights. Please do not disclose confidential information about your Jvisual account. If a claim arises due to your breach of your representations in the agreement (such as not being the owner of copyrighted material), you agree to cover Jvisual’s loss. If a claim arises due to Jvisual’s breach of its representations in this agreement, Jvisual agrees to cover you for your loss. The party seeking indemnification agrees to notify the other party as soon as reasobly possible.